11 April 2014: CIVICUS and the Human Rights Institute of South Africa (HURISA) express shock at the continued harassment and re-arrest of Swazi journalist Bheki Makhubu and human rights lawyer Thulani Maseko. On 9 April 2014, Bheki Makhubu, editor of The Nation magazine and Thulani Maseko, a columnist with The Nation and member of Lawyers for Human Rights Swaziland, were rearrested by members of the Royal Swaziland Police following the issuance of a warrant on the same day. Makhubu and Maseko are reportedly being held at Mbabane Police Station in the capital. Makhubu and Maseko were originally arrested on March 17 and 18, 2014 respectively on charges of “scandalising the judiciary” and “contempt of court” in relation to two articles published in The Nation in February and March which questioned the independence of the judiciary. The two activists were reportedly denied access to their lawyers and remanded into custody without the possibility for bail. On April 6, after 20 days in detention at Sidwashini Correctional facility, a High Court judge overturned their arrest. Both activists have routinely been subjected to judicial harassment for undertaking their legitimate work. In April 2013, Makhubu was sentenced to two years in prison in connection to articles published in The Nation criticising the judicial system. He was released pending appeal. In June 2009, Maseko was arrested and charged under Swaziland’s draconian Sedition and Subversive Activities Act in an apparent reprisal for his human rights activities. The continued harassment of Makhubu and Maseko is symptomatic of the government’s growing hostility towards dissenters in the country. Pro-democracy activists and human rights defenders and protestors are routinely targeted under vague and ill-defined provisions of the Suppression of Terrorism Act (2008) and the Sedition and Subversive Activities Act (1938). In September 2013, prominent South African activists Jay Naidoo and Vincent Ncongwane, former secretary general of the Swaziland United Democratic Front, were detained in an apparent attempt to prevent them from taking part in a panel discussion on labour rights violations in Swaziland. 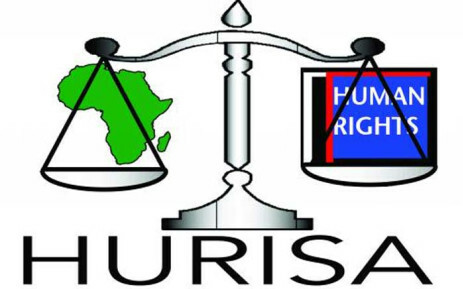 In May 2012 the African Commission on Human and Peoples’ Rights urged the government of Swaziland to fully adhere to its regional and international human rights obligations, particularly the rights of freedom of expression, association and assembly. Moreover, as a member of the Southern African Development Community (SADC), Swaziland must observe SADC’s standards governing human rights, democracy and the rule of law. CIVICUS and the Human Rights Institute of South Africa (HURISA) urge the South African government and the Southern African Development Community to diplomatically engage the Swazi government on the on-going pervasive harassment of human rights defenders and dissenters. A first step would be the dropping of charges and unconditional release of Bheki Makhubu and Thulani Maseko. The Study Group on Freedom of Association and Peaceful Assembly in Africa (the Study Group) held its third meeting from 19 – 21 March 2014 in Accra, Ghana. The objectives of the meeting were to finalise and adopt a report on freedom of association and peaceful assembly in Africa and consider the draft Guidelines on Freedom of Association and Peaceful Assembly in Africa. The meeting was organised in accordance with African Commission on Human and Peoples’ Rights (the Commission) Resolution ACHPR/Res.151 (XLVI) 09 on the need to conduct a study on freedom of association in Africa, and Resolution ACHPR/Res.261 (LIV) 13 extending the deadline of the study to October 2014. Ms Maximilienne Ngo Mbe, Representative, Central Africa Human Rights Defenders Network. Mr Emerson Sykes, Representative, International Centre for Not-for-Profit Law. The meeting was chaired by Honourable Commissioner Reine Alapini-Gansou, Special Rapporteur on Human Rights Defenders in Africa and Chairperson of the Study Group on Freedom of Association and Peaceful Assembly in Africa. During the opening ceremony, Mr Hassan Shire, Representative of East and Horn of Africa Human Rights Defenders Project, spoke on behalf of financial partners and underscored the significance of the work of the Study Group, stating that freedom of association is a gateway to all the other rights guaranteed by the African Charter on Human and Peoples’ Rights. He reiterated the commitment of partners to support the study to its conclusion. The study, he emphasised, is possible given the constant commitment of the various sub-regional human rights defenders networks in Africa, partners and other stakeholders. In her opening statement, Honourable Commissioner Reine Alapini-Gansou, Chairperson of the Study Group, expressed satisfaction with the progress made regarding the activities of the Study Group despite the various challenges faced in submitting the findings of the study on time. She welcomed the support provided by partners of the Study Group, including International Centre for Not-for-Profit Law and East and Horn of Africa Human Rights Defenders Project. She also reminded the members of the Study Group of the significance of the meeting. During the three-day meeting, the members of the Study Group reviewed the draft report and incorporated comments and suggestions. The resource persons helped in identifying specific areas in the report that require further analysis. Following an analysis of the situation in various African countries, participants were able to identify the major obstacles to the rights to freedom of association and peaceful assembly. Despite the efforts of the Commission, in particular by issuing resolutions, press releases and statements, civil society organisations are still restricted from conducting their activities. The study is aimed at highlighting the situation of these rights in the countries identified. It contains recommendations to various stakeholders towards the effective implementation of these rights which are still an area of concern. The members of the Study Group discussed their future activities and the need for an effective follow-up. They recommended that a special mechanism should be established to monitor the implementation of the recommendations contained in the study. The Study Group outlined a strategic framework for the drafting of the Guidelines on Freedom of Association and Peaceful Assembly in Africa. As such, the members of the Study Group decided that the draft Guidelines will be presented during the NGO Forum to be held prior to the 55th Ordinary Session of the Commission to be organised in Luanda, Angola. The aim is to collect comments and suggestions from civil society on the approach adopted by the Study Group. This meeting with civil society will be followed by a meeting of experts to be held in June 2014. The final document will be submitted to the Commission for adoption during its 56th Ordinary Session to be held in October 2014. The Guidelines establish a protection threshold towards preventing disparities in guaranteeing these rights and will help to guide States in implementing the right to freedom of association and peaceful assembly at the country level. The report on freedom of association and peaceful assembly in Africa will be submitted to the Commission for adoption during the Commission’s 55th Ordinary Session scheduled for 28 April – 12 May 2014 in Luanda, Angola. The closing ceremony of the third meeting of the Study Group on Freedom of Association and Peaceful Assembly in Africa was held on 21 March 2014 at Miklin Hotel in Accra, Republic of Ghana.